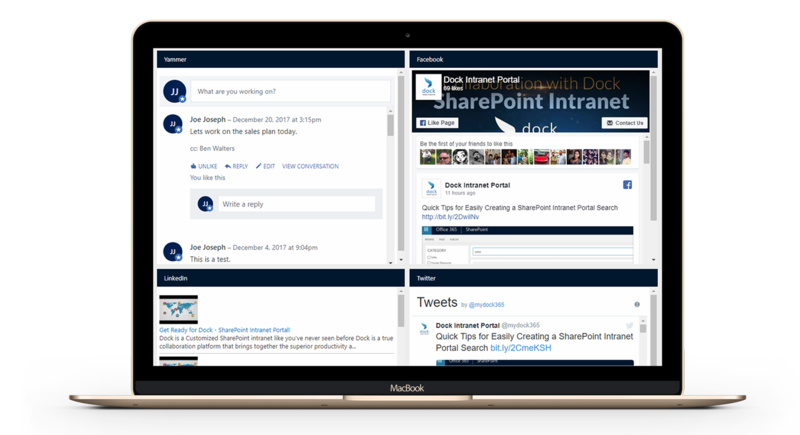 Manage your SharePoint intranet portal with Dock. You'll be able to focus on key features such as location and social media. Dock's SharePoint content management designs can create any portal your business will need that you may not see here, such as financial portal for banks or education specific portals for school districts. Dock is an expert at SharePoint content management to increase your employee productivity. This section is for companies that have multiple locations. It provides employees quick access to location specific contacts, documents and news highlights. This section provides employees a snapshot of what’s going on with the social media posts from the company. They can directly click on the links. What will your YouTube channel be about? Questions to determine your channel concept. Click the button to learn more!